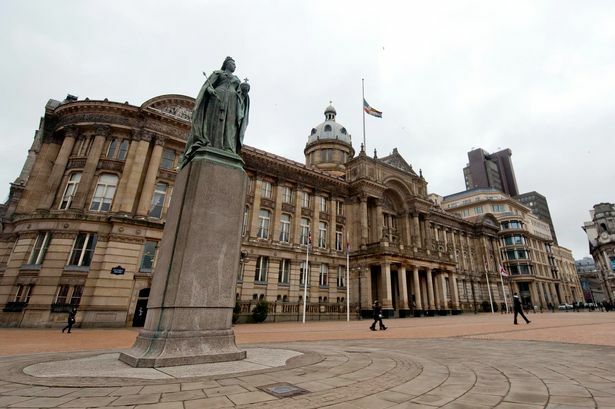 Troubleshooter Sir Bob Kerslake, the former head of the Civil Service, has delivered a damning verdict on Birmingham City Council, branding it an organisation which is failing the city and holding it back. Local government correspondent Neil Elkes looks at 15 things we have learned from the report. 1) Birmingham cannot blame all of its problems on its size. Despite being Europe&apos;s largest local authority, the city&apos;s problems are due to poor management rather than scale. 2) Its huge debt problems, which have led to the proposed sale of the NEC and other assets, are of its own making. The equal pay shambles and £1.2 billion compensation bill should have been dealt with ten years earlier. 3) The council is dysfunctional, according to Local Government Secretary Eric Pickles, and is holding the city back as others overtake it in the race to be Britain&apos;s &apos;Second City&apos;. It needs to change its corporate culture and ‘organisational disobedience&apos;. 4) The council would be able to plan for the longer term if it stopped holding elections three out of every four years and replaced this system with an all-out election every four years. 5) There is no more money from the Government. Both Kerslake and Pickles say Birmingham&apos;s leadership should stop bleating about the raw deal they get from Whitehall and plan life without bailouts. 6) The report states councillors are too remote from the communities they serve and struggle to connect but also says there should be 20 fewer elected members serving more citizens per head, down to 100 councillors. 7) Brmingham needs to work with the four Black Country authorities and Solihull, in a combined authority. Kerslake has solved one issue by insisting on one authority, one vote to stop the horse-trading over whether Birmingham gets a greater share of the vote. 8) Birmingham lacks a vision and needs some sort of city plan developed with the engagement of the wider community. 9) The bins service is a mess and Kerslake concludes it is under-performing, with recycling lower and fly tipping among the highest in the country. Privatisation would save £14 million a year. 10) Regeneration has been too focused on the city centre within the ring road but leaving deprived neighbourhoods with low skills and high unemployment outside it. 11) Councillors are confused about the devolution programme. The attempt to bring decision-making down to community levels has not worked, people are not really engaged and few have any clear idea of the powers the districts have. 12) The council cannot be trusted to sort this mess out on its own and needs a government-appointed improvement board to "keep its feet to the fire", reporting back next year by which time there may be a new Local Government Secretary in post. 13) The Trojan Horse scandal in schools showed the council was too remote from understanding its own communities and did not have the confidence to deal with the problem. 14) It also reflected the fact "that deep-rooted problems have been swept under the carpet, by successive administrations, rather than being addressed". Birmingham has to stop simply hoping problems will go away. 15) It&apos;s not all bad news. Birmingham has a strong and visible leader in Sir Albert Bore and Kerslake also praises chief executive Mark Rogers for promoting and open and honest culture in the authority.